As an addition to a home, a deck offers extra floor space and storage possibilities. It can be built in a short period of time at a significantly lower cost than the rest of the house. A good deck design is not accidental; rather it materializes from proper planning and decisions that take advantage of existing features unique to your home and settings. It should cater to specific needs of family members and how it appeals to them visually. The transition from indoors to outdoors and vice versa should be smooth and easy to promote its usage. 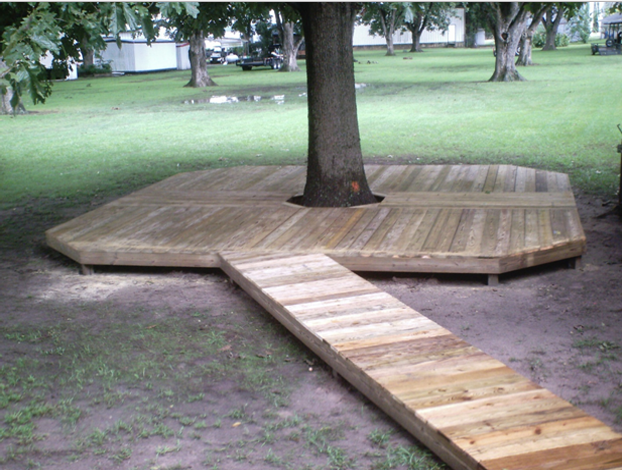 Family members or guests with physical disabilities would welcome a ramp or low rise steps. Entry steps that are extra wide or wedding cake steps look impressive and dramatic. However, they have to be positioned to allow for practical movement of traffic to the deck. Inset steps should be built where there is limited space, like a garage. Whether a deck is attached to your home or it is a free standing structure in the yard, the outdoor atmosphere will determine the comfort and pleasure that you will experience. Therefore the design of a deck should take into consideration wind directions, the rays of the sun and places of shade. The orientation of a deck should also be planned so that you can get to enjoy the view of a garden or the flow of water in a water feature. 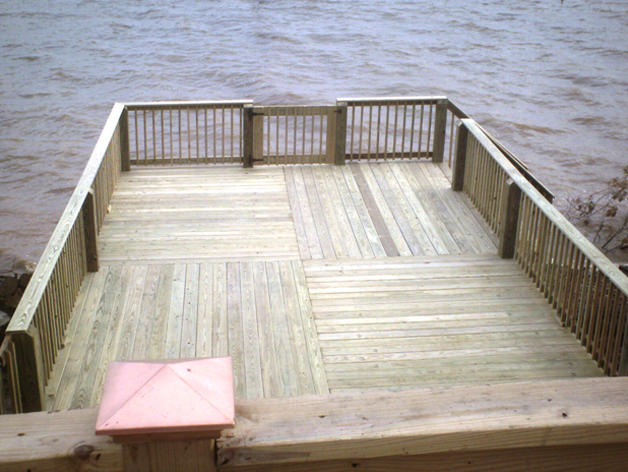 Depending on the space you have that is available, a deck should be built in proportion to its proposed use. For instance, if your deck is a place to wine and dine, then the allocated area should be as big as the dining room in your home. A multi-level deck separates areas into different levels and can be designated for different uses. The most popular shape for a deck is a rectangular one but decks can also be built in an angled position or into interesting leaf-like shapes, octagons and circles. To create a sense of enclosure, locating a deck where it is naturally shielded by shrubs, trees, fences or neighboring walls is a good solution. Using deck railings strategically, building screens as a sound barrier and trellises as well as planters will soften boundaries and offer the privacy you need. When a deck is examined from different locations, it should blend in nicely with the home and surroundings and not look like it was forced onto the site. Gabled roofs with wagon wheel designs suit a rustic look. Features like pergolas and trellises create a garden tone while a contemporary feel is generated by simple lines. Staining or painting the deck to look similar with the house is a unifying element that most people opt for. This includes using the same vinyl siding of the home as a deck skirting or color matching metal roofing and shingles on the porch or car port for a seamless appearance. The shape of the deck should also mirror existing outlines so that it fits in with the settings. Finally, specific details that make your home improvement project unique can be the decking pattern like a windmill or herringbone outline, the use of built-in structures or even the railing style. All elements should be working together to make your deck a functioning space where you want to linger and stay.